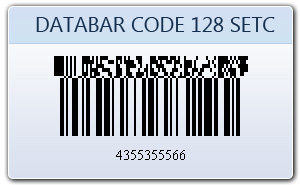 Databar Code 128 SET C is subset of Code 128 barcode that accept only numeric data. 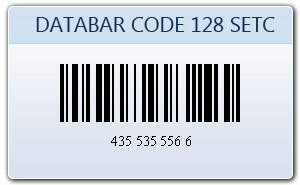 Data bar Code 128C is narrow barcode symbology that can encode each two digits with one code. Code-128 bar code is high density barcodes that are used for product identifications in shipping and packaging industries. Using our bar coding system you can easily generate bar codes stickers, coupons and tags within minimal time. 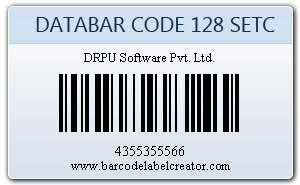 Bar code program creates all type of linear and 2D barcode labels for different business organizations.